• “The Gaian philosophy has a greater resonance in Nigeria’s ancient traditional values, where there is regard for a common unification of identity, humanity and the interdependence of nature. But one wonders, today is such in polarity, our oceans, the water and soil of the universe are getting heated up every day, with our ways, the lust for wealth and power; in addition decimating the global population through sophisticated firearms instead of creating platforms for peace and unity for us to grow in sympathy for those unfortunate ones.” Kola Abiola. FREE CRITICAL THINKING: meets most Tuesdays 7-9pm (last meeting of term 2nd December) – see Events Listing at The London School of Mosaic in the Basement Studio (down ramp), 73-96 Ludham, Southampton Road, Lismore Circus, London, NW5 4SF (Gospel Oak overground /Belsize Park tube): http://www.freecriticalthinking.org • Critical Thinking’s scope: http://freecriticalthinking.org/9-general/1518-hierarchy-and-the-political-economy – in pithy summary: “Hierarchy, theft of the Commons and Usury are the fundamental drivers of poverty, wars, environmental destruction and the enslavement of humanity. Once we understand that, we’re on the road to recovering humanity.” See Clive Menzies’ paper in the Islamic Economics Journal of King Abdulaziz University: Reform Proposals in the Monetary System for Attaining Global Economic Stability: http://iei.kau.edu.sa/Files/121/Files/153872_30-02-09-Clive-3.pdf. *INDEPENDENT CONSTITUTIONALISTS UK (ICUK): recognises the necessity of dealing with BOTH the need for many urgent palliatives within a dying system, AND a systemic curative re-design by participative democratic application of an integrated social-political-economy of trusteeship in the co-evolution of planet earth. It concentrates on the Meta-Narrative within which the UK could shape all its independent but mutually accountable communities. Curative change to the political-economy like “poetry happens in two stages, like sculpting; first the imagination, then the chisel.” The specific pursuit of an integral model for public policy originated at the London Global Table and is now pursued as the emergence of ‘A PEOPLE’S INTEGRATED SOCIAL-POLITICAL-ECONOMY OF TRUSTEESHIP IN THE CO-EVOLUTION OF PLANET EARTH.’ The CURATIVE structural change advocated in the ICUK’s Declaration of Purpose is set within PRINCIPLED-PRAGMATISM. It provides an integrated, and therefore interdisciplinary, context for human response-ability. All specialist Disciplines must be seen to make their contribution to this dramatic description of cognitive behavioural therapy applied to public policy and purpose.” MP [For those using philosophical and theological studies as an aid, the curative represents a modern perception of bringing the Kin[g]dom into all aspects and language of public policy. 4]. An update of its website is now evolving: http://www.icuk.life. An informal Strategy Forum meets in central London every Wednesday between 12 and 2pm – you are invited to contact Peter Challen – peterchallen@gmail.com – for latest developments and meeting venue. LETSlink is working on much-needed national and regional hubs to enable dedicated training for individual LETS groups. Newly online groups are being encouraged to work on a county-wide basis. The main website sets out theory and enables enquirers to connect with local groups: http://www.letslinkuk.net/uk-map.htm. See PP presentation – Local Exchange Trading Schemes: Integrated Community Currency Model – ICCmodelSee record of origin of LETS in the UK via a paper by David Weston, “Green Economics: The Community Use of Currency,” paper presented at The Other Economic Summit at the 1984 TOES Conference as recorded by Paul Ekins in “The Living Economy: A New Economics in the Making”, 1986. See LETSlink Forum. POSITIVE MONEY has branches all over the UK to campaign for debt-free issuance of currency, which are often listed on our Events page. They campaign for a fairer, more democratic and more sustainable economy.They held a seminar in association with RSA on Monday 18th Sept 2017 – see report: PositiveMoney-RSA-170918 – see also Positive Money’s latest video about the: Bank of England and a new paper, published in January 2018: Escaping-Growth-Dependency-final_print • Recently screened by Greenwich & Lewisham branch is Michael Oswald’s film The Spider’s Web : Britain’s Second Empire, portraying Britain’s role in creating a global network of tax havens. 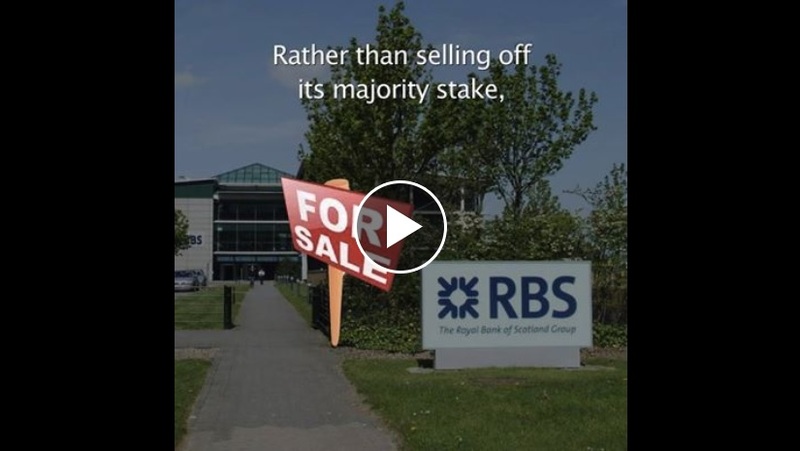 • See Latest Message from Positive Money, which we have been asked to forward to our contacts: “LETS Take on RBS: We hope to get other campaign groups involved and to get going in December and January. Please will you help us build the foundations for a big public campaign by watching then sharing the video below with your friends, family and contacts on social media or email now?